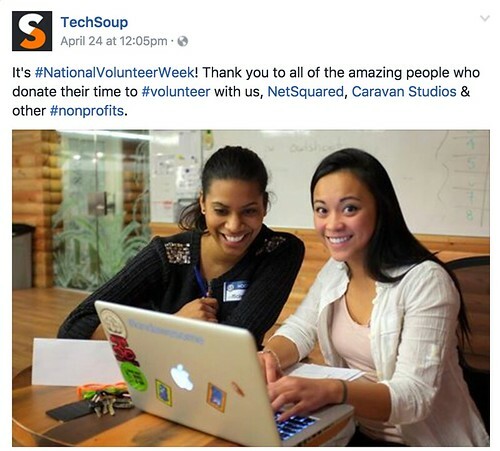 National Volunteer Week has come and gone, but I ask you to join me every week in celebrating the amazing contributions of TechSoup's NetSquared community. Our mighty army of volunteers hosted over 500 free nonprofit technology trainings last year and we're on track to reach even more organizers this year. You like numbers? 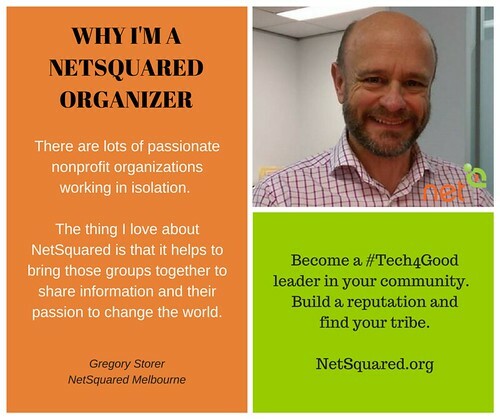 Well the average NetSquared organizer spends 8.2 hours planning each event, so over 4,000 volunteer hours were contributed in 2016. But what that really means is nonprofits in more than 75 cities have access to free training and networking events every month! So why don't you join your closest group? And while you're there be sure to give your event organizer a hug for me! San Francisco, CA: Let's Learn about Airbnb's new Social Impact Experiences program! Portland, OR: Microsoft for Nonprofits - VOTE for your topic! Seattle, WA: Board Advocacy: Are you Ready to Stand For Your Mission? Chicago, IL: Is the Cloud Right for Your Nonprofit? Pittsburgh, PA: Bagels & Bytes "Open Source Summer Fiesta"
Los Angeles, CA: LGBTQ & Tech! How do you use it? Burlington, VT: Finance Friday: What Kind of Audit is Best for Your Organizaton? Kampala, Uganda: Social Media Surgery-Blogging As a Business. Genève, Switzerland: Swissneutral: Intro/discussion "Internet libre, c'est quoi?" puis AG.